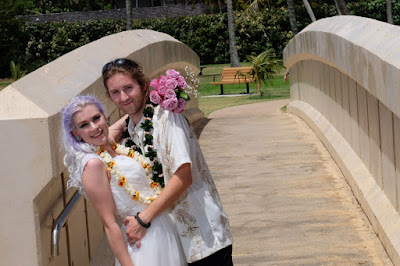 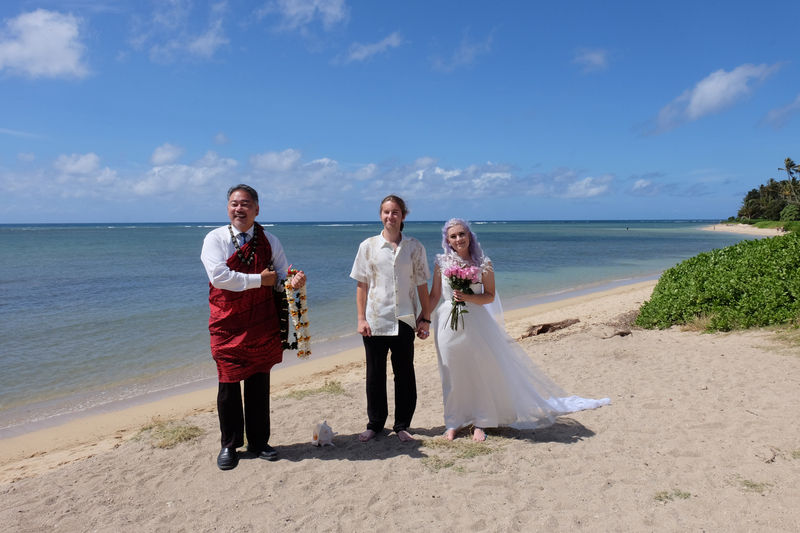 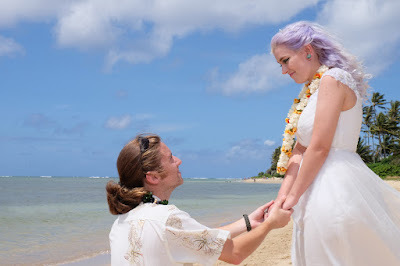 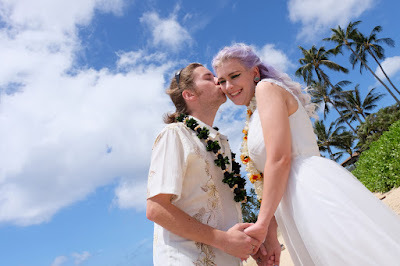 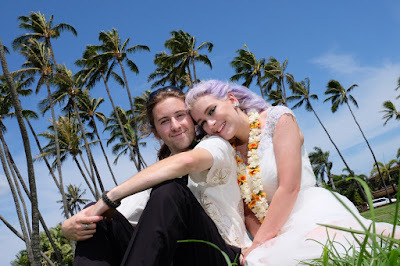 Rev John officiates wedding for Alex and Riley at Waialae Beach Park, Honolulu Hawaii. 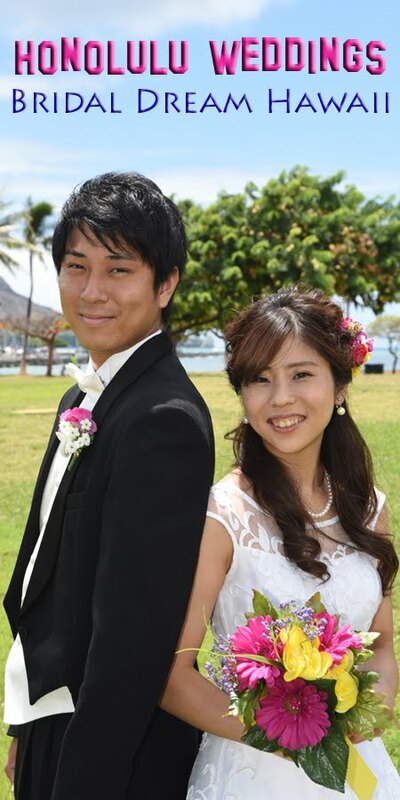 Beautiful and tropical bunch of coconut trees at Waialae Park. Awesome wedding photo backdrop! We'll cross that bridge when we get to it. Another nice backdrop for Honolulu wedding photos.